Many a times, a component needs milling operations on multiple positions and or planes. We design and build machines to do these operations in one setting. This saves time, component movement and power. 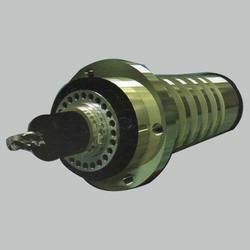 We are dedicated towards offering an extensive range of Spinning Mill Spindle in the industry. heavy spindle at lowest price ..more cash discount depends on payment and required quantity..replacement in case of defect piece..many other spindles are available. 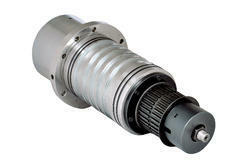 We have marked a distinct and dynamic position in the market by providing a high quality array of Rolling Mills Spindle. These offered products are designed using premium quality raw material by our qualified professionals. The products offered by us are highly demanded in the market for its rust resistance and perfect finish. - Materials En-8, or En-9 size as per clients required drawing . HiWe offer GDL series: ATC spindle, automatic tool change spindle, with water-cooling & air-cooling, mainly used for cnc machine center.